From the word of God, we know that we are to love God with all of our heart, our soul, mind and strength. 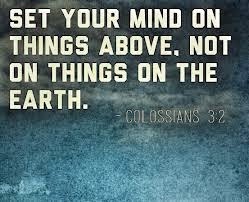 Staying focus on God; on His sovereignty; on things above will keep your mind in perfect peace. When we understand that Satan is in direct opposition to God, then we understand the reason why the mind is a battlefield and is under constant attack by the enemy. Satan knows that if he can get our mind off of God; if he can distract us long enough, we will not be able to sustain our connection to God. As Apostle Paul says in several of his epistles, 'brethren, I would not have you ignorant'. Knowing is half the battle. So we understand that Satan attacks on all fronts and he attempts to challenge the word of God. 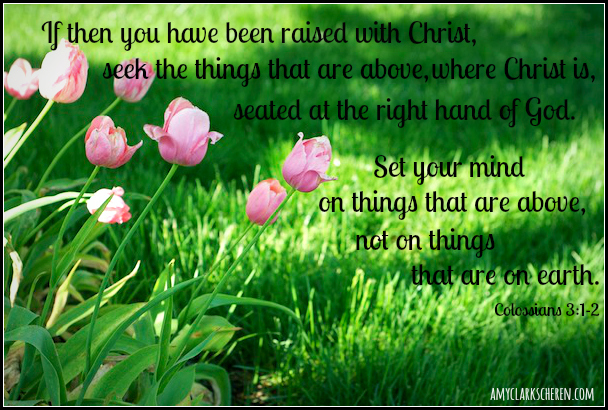 Throughout the new testament, we are admonished and encouraged to guard our minds and to keep our thoughts on God. When the enemy recognizes that we have a made up mind or that we are sincere in our efforts to serve God, he moves in with all sorts of contrary thoughts, suggestions, influences and ideas to distract us from our primary focus. The first temptation of man started in the mind with this strategy: Questioning the authority of God, Satan said to Eve, "Yea, hath God said...?" Did God really say that you would surely die if you ate of the tree of knowledge of good and evil ? Questioning God and His Word leads to doubt, unbelief, and skepticism. ¨ "You can become a god." ¨ "You can know the future." ¨ "You future, including eternity, is predestined. There is nothing you can do about it." ¨ "Everyone is a child of God." 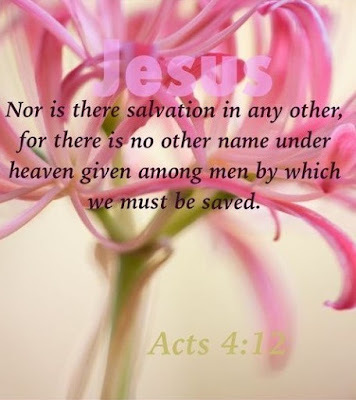 ¨ "There are more ways to Heaven than by Jesus." ¨ "God is too good to send anyone to Hell." ¨ "All God expects you to do is live a good life and do the best you can." ¨ "The Bible should not be taken literally." ¨ "The Bible contains many errors." Satan uses your own mouth, your eyes, ears, and even your senses of touch and smell to foster wicked thoughts in your mind. To be depressed is to be downcast, sad, discouraged, or in low spirit. It includes feelings of despair, despondency, and dejection. Depression can lead to suicidal thoughts or actual suicide because of the hopeless feelings which produces uncontrollable mental grief, sorrow, heartache, and crying. Sometimes Satan uses circumstances of life to lead to depression. For examples, a great loss or fear of loss, suppressed anger, a low self concept, unfulfilled expectations, and a negative attitude can all be used to cause depression. We are warned about "fainting in the day of adversity" (troubled or distressed circumstances). Sometimes depression is caused by the negative attitudes of those around us through which Satan works. During the Israelite's time in the wilderness, God's people admitted, "our brethren have discouraged our hearts." If you do not conquer depression it can also lead to oppression by Satanic spirits. This is a deeper form of depression where Satan gains more restrictive power over the mind. Discouragement means to be "without courage." Satan wants to discourage you because if you are "without courage," you are ineffective in warfare. Satan causes wrong attitudes towards others. He inserts fiery darts of envy, jealousy, suspicion, un-forgiveness, distrust, anger, hatred, intolerance, prejudice, competition, impatience, judging, criticism, covetousness, and selfishness. He also tries to cause wrong attitudes of greed, discontent, pride, vanity, ego, importance, arrogance, intellectualism, and self-righteousness. Wrong attitudes lead to wrong emotions and both stem from your thoughts. When you are filled with pride, you are actually arrayed in battle against God. Satan also inserts rebellious thoughts into your mind. Rebellion is willful disobedience against God's authority. Rebellion includes self-will, stubbornness, and disobedience. Remember that rebellion was the original sin of Satan. His five statements of "I will" demonstrated his rebellion (Isaiah 14:12-14). The "I will" spirit is a way to recognize the operation of Satan through rebellion. Satan also causes indecision, confusion, and frustration in your mind. When you are confused, indecisive, and frustrated, you obviously cannot be a good Christian soldier. "the accuser of the brethren" (Revelation 12:10). He sends fiery darts of accusation into your mind, makes you feel inferior, and condemns you. He will give you guilty feelings of shame, unworthiness, and embarrassment. ¨ "You are no good,"
¨ "You can never live a Christian life,"
¨ "God couldn't love you because you are too great of a sinner." When the Holy Spirit is convicting you, it is specific. For example, He brings to your attention that you have a problem with anger or dishonesty, etc. Finally, know that He that is within you is greater than every negative force against you.